Rick is a trained AAA mediator and has arbitrated numerous employment and labor matters in both private and public sectors. For 20 years, Rick’s practice has been dedicated to representing employers and management in all aspects of employment law. Rick’s experience includes representation of clients before the Equal Employment Opportunity Commission, similar state and local agencies, the National Labor Relations Board, the Department of Labor, and numerous federal and state courts throughout the country. He frequently litigates claims of discrimination, harassment, and retaliation under Title VII of the Civil Rights Act of 1964, the Pennsylvania Human Relations Act, the Americans with Disabilities Act, and the Age Discrimination in Employment Act. Rick routinely defends employers in class and collective action lawsuits brought under the Fair Labor Standards Act and Pennsylvania Law. He also regularly represents corporate clients who seek to enforce the trade secret and non-competition obligations of former employees. Rick represents entities of all sizes and types including healthcare organizations, manufacturers, retailers, and service industry businesses. As an employment counselor, Rick advises clients with respect to compliance with federal, state and local employment laws, including the FMLA, OSHA, and the FLSA and provides training to employers on all issues related to employment law compliance. 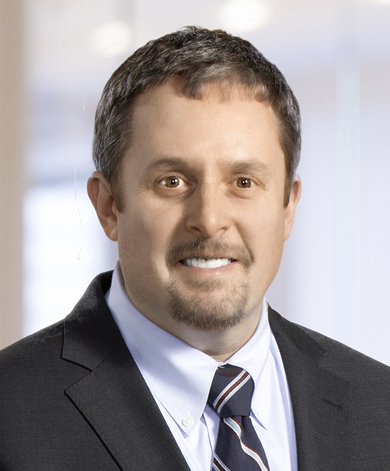 Rick also counsels employers on minimizing risk during both the discipline and termination process, with a focus on being “proactive” versus “reactive”. Further, a substantial portion of his practice is dedicated to the review and revision of various employment documents and policies including employment agreements, handbooks, and non-competition agreements. A frequent lecturer, Rick presents to human resource groups and management on workplace investigations, terminations and layoffs, union matters, and social media, as well as other employment law related issues. Rick is a member of many professional associations including the Pennsylvania, Maryland State, York County, and Lancaster Bar Associations. He is active in the community, serving as a Board Member for Family First Health and a HR Committee member for TrueNorth Wellness. In 2016, Rick was recognized as a Select Lawyer in the area of Employment Discrimination Law.